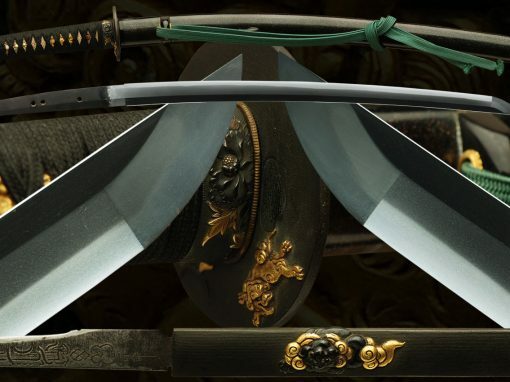 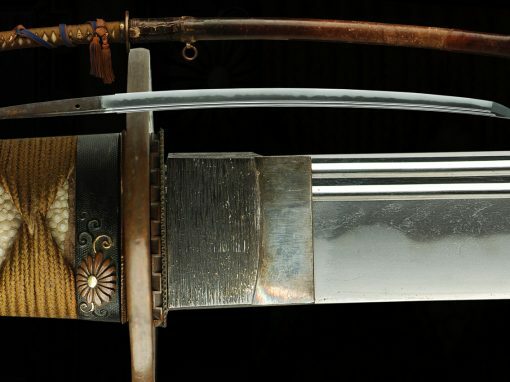 This rather slender and elegantly shaped sword should be submitted to a shinsa some day. 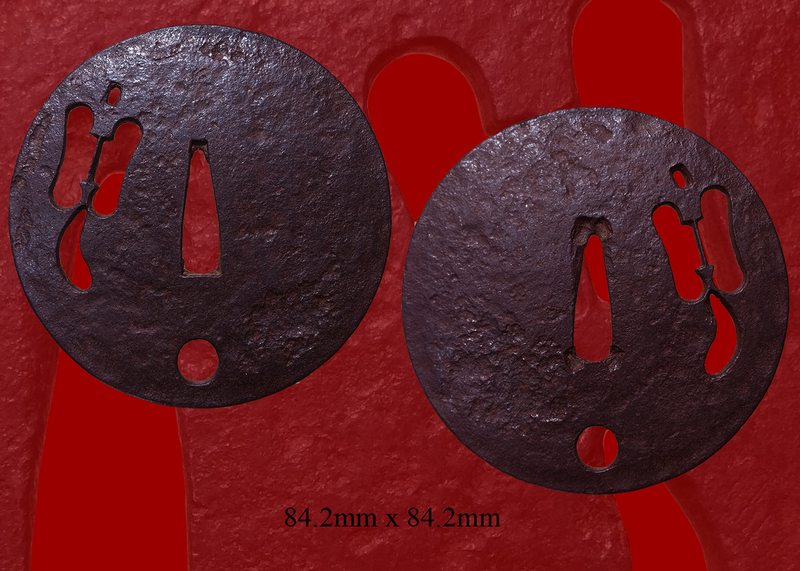 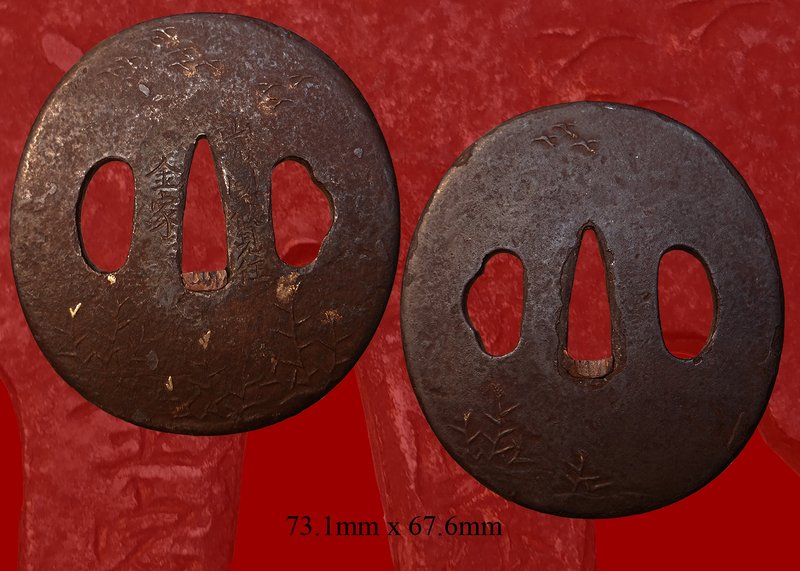 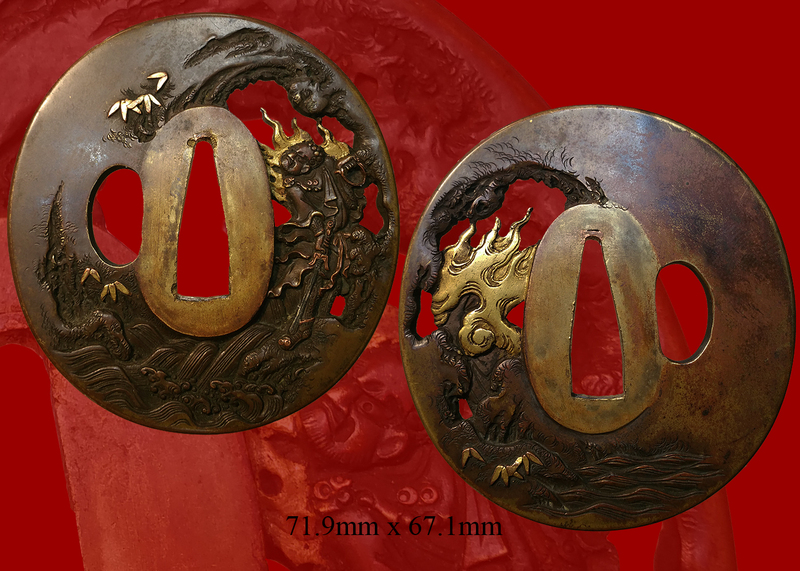 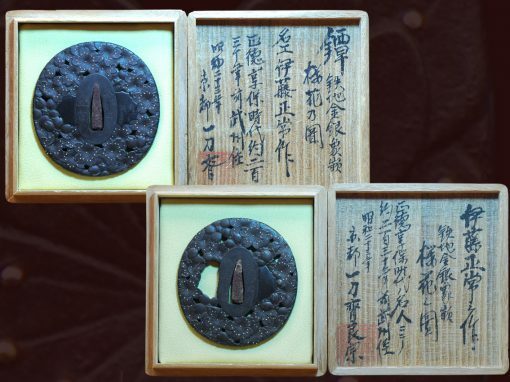 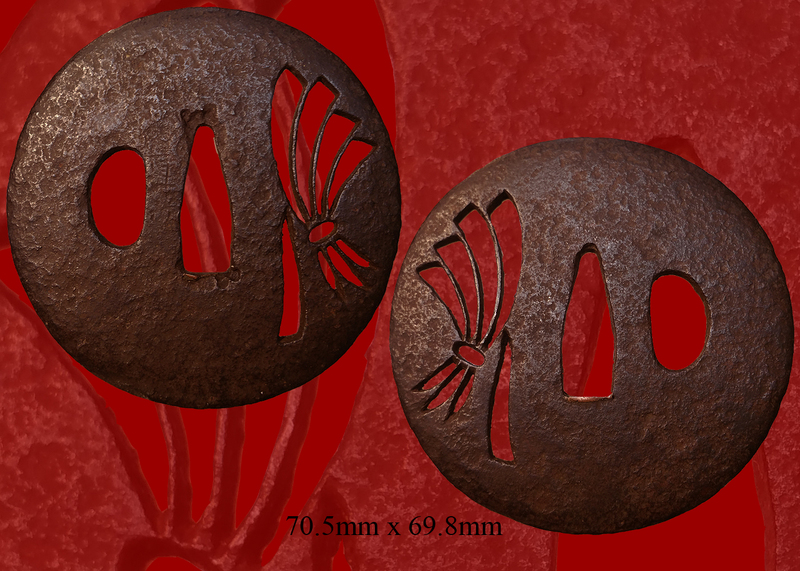 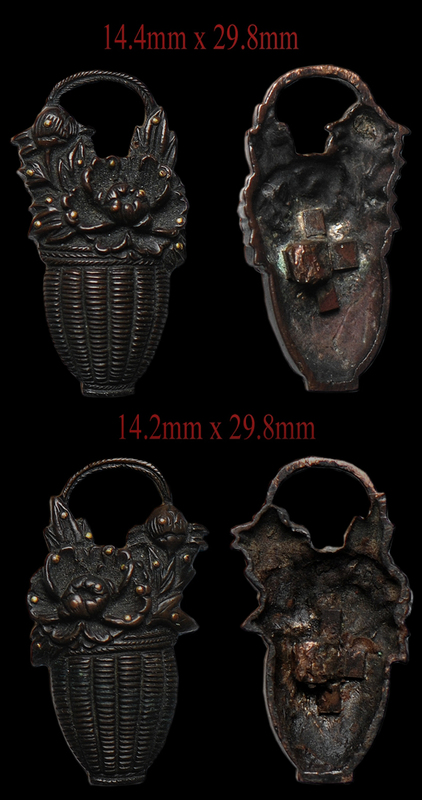 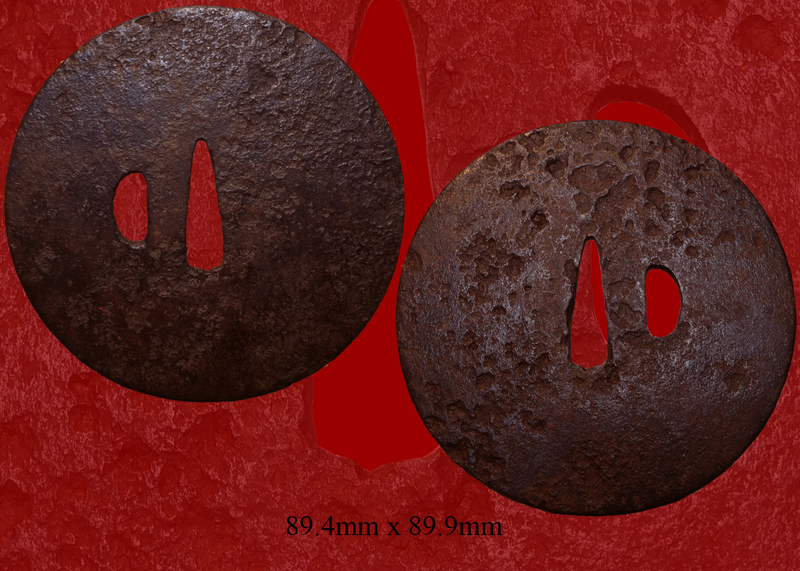 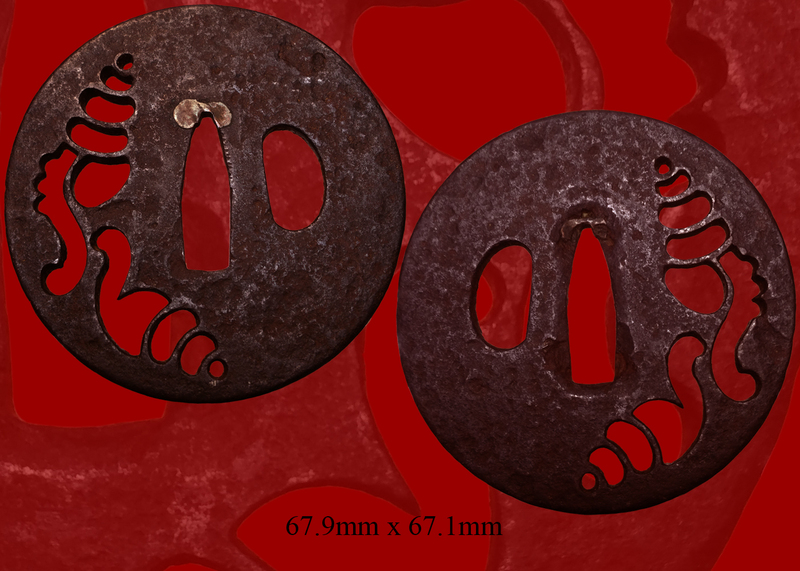 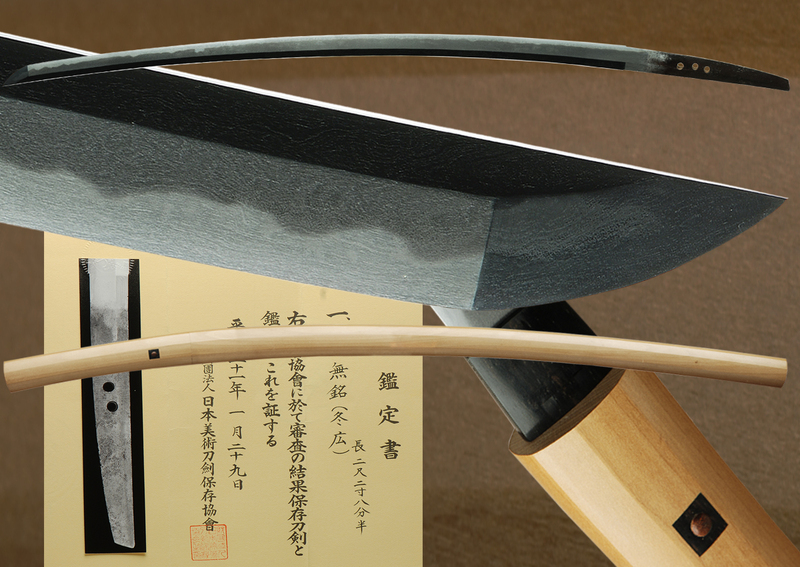 It has good work in the hamon with many hataraki and the hada is well forged. 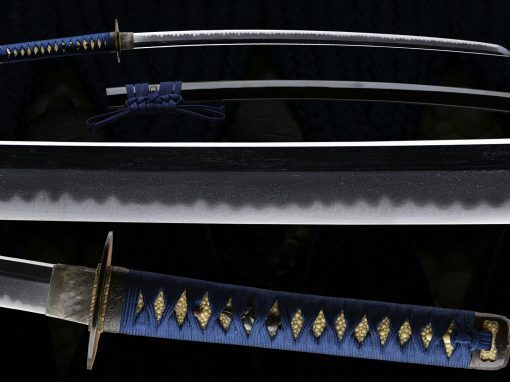 This sword also has a very pleasant shape and feel to it. 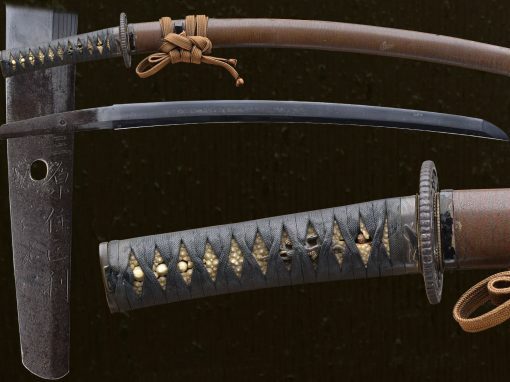 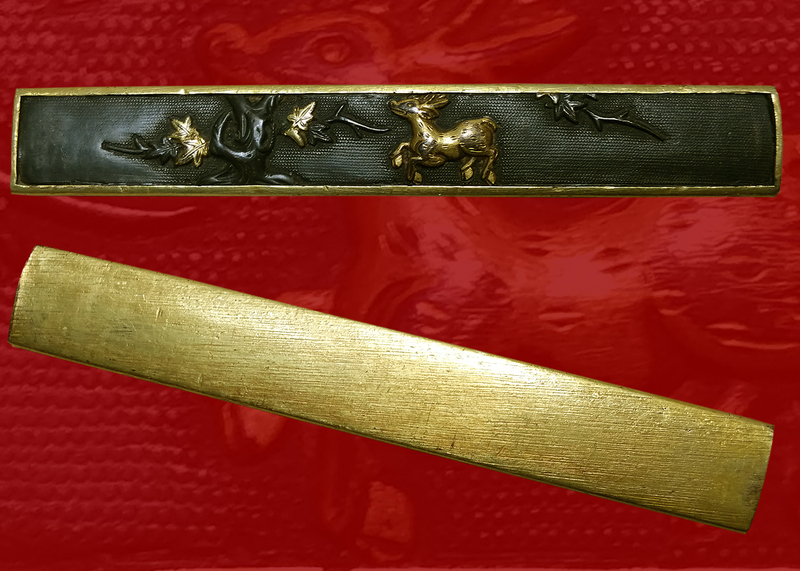 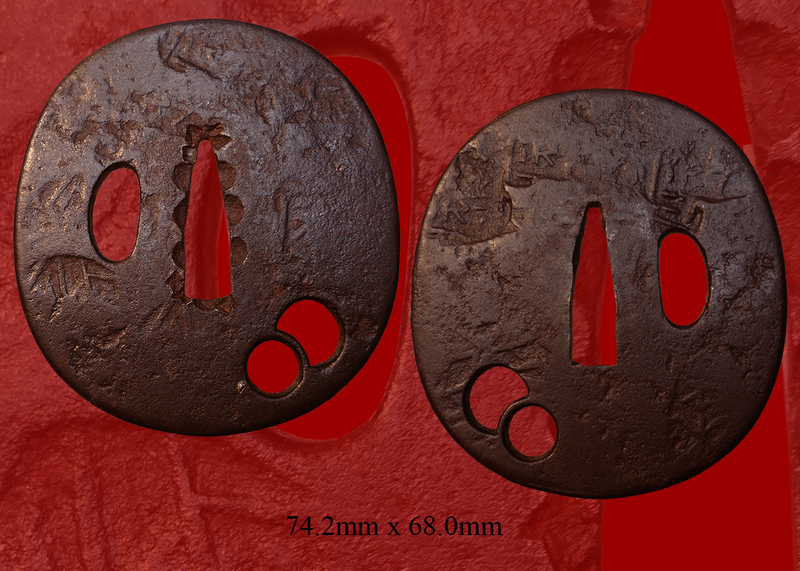 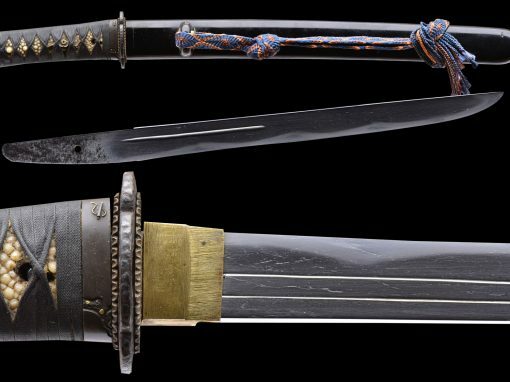 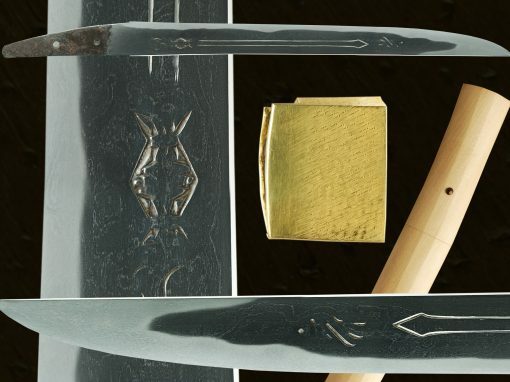 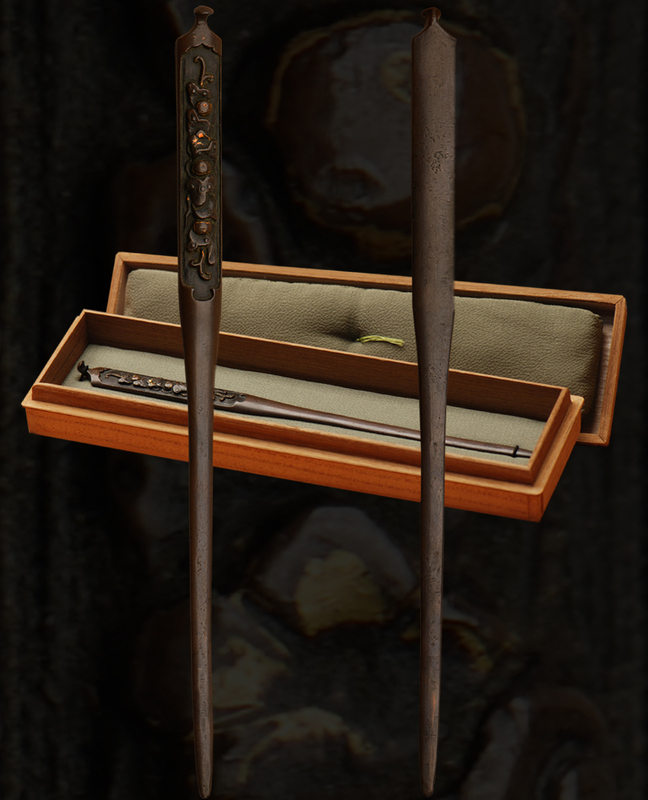 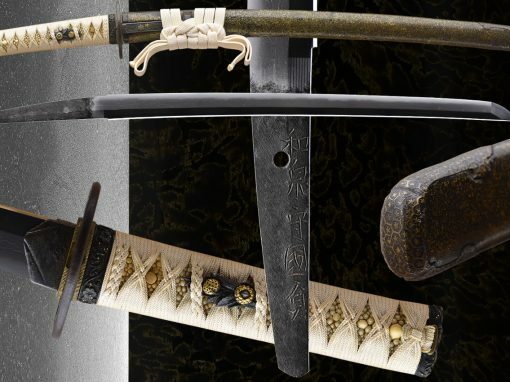 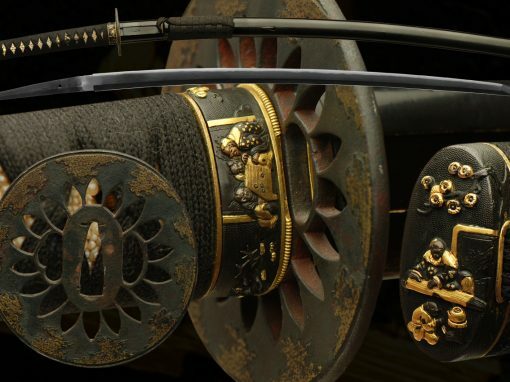 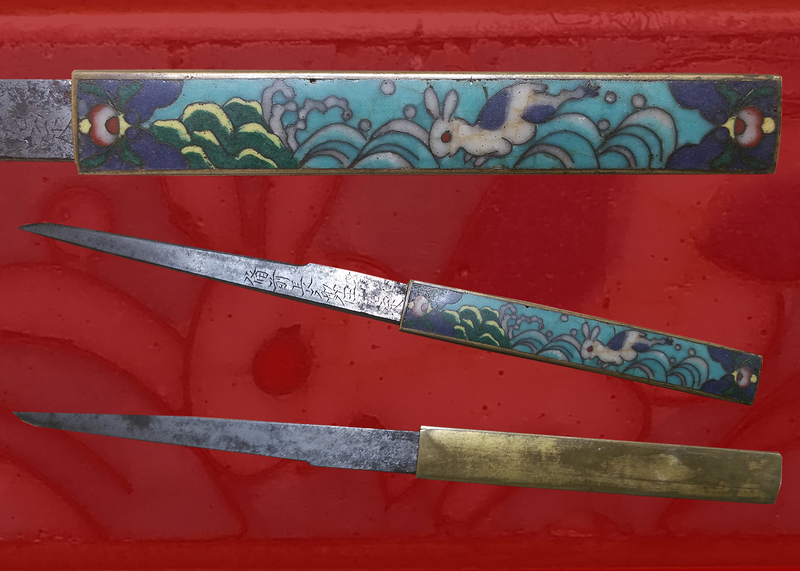 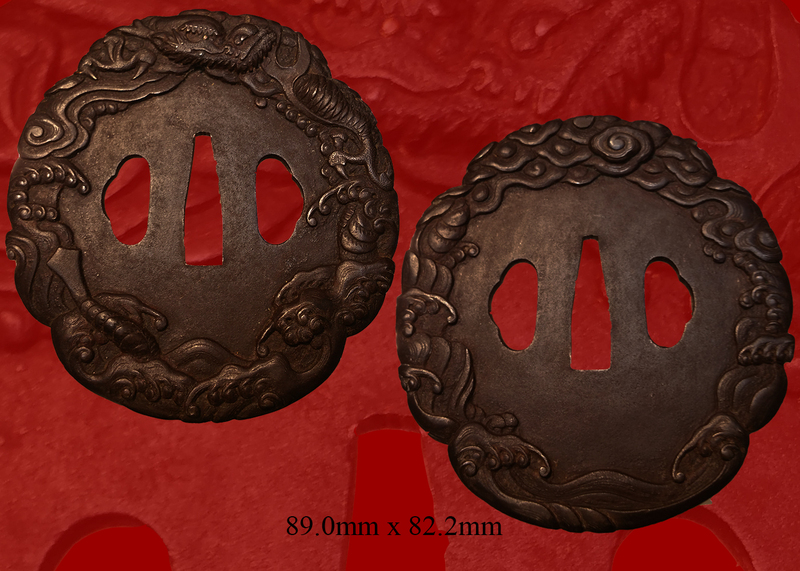 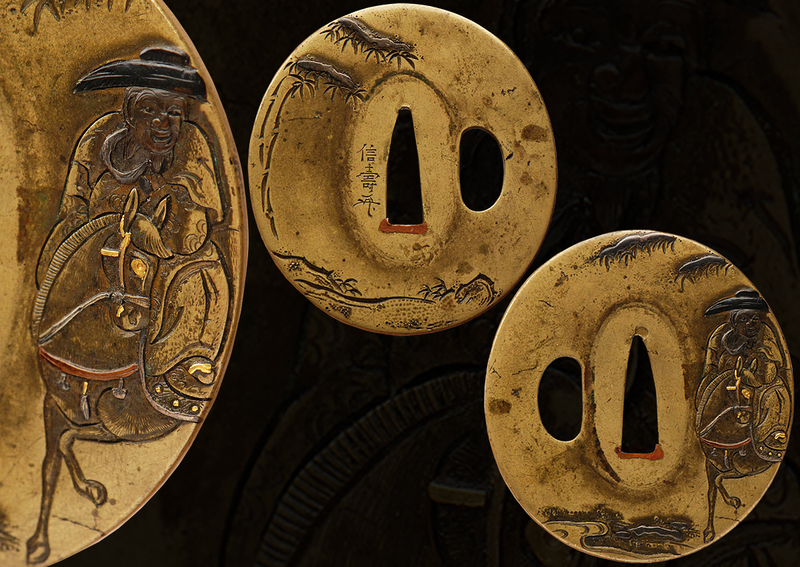 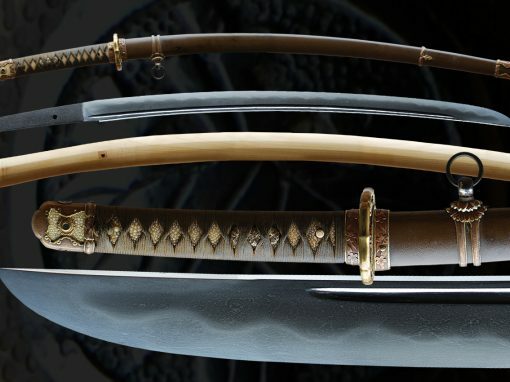 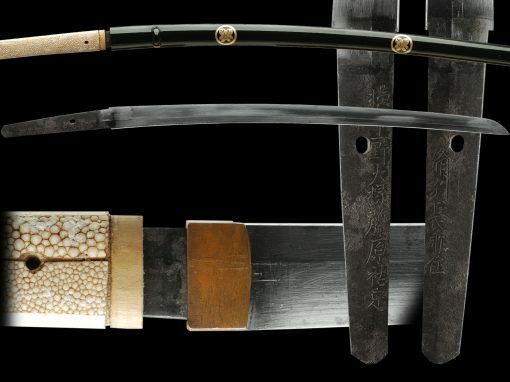 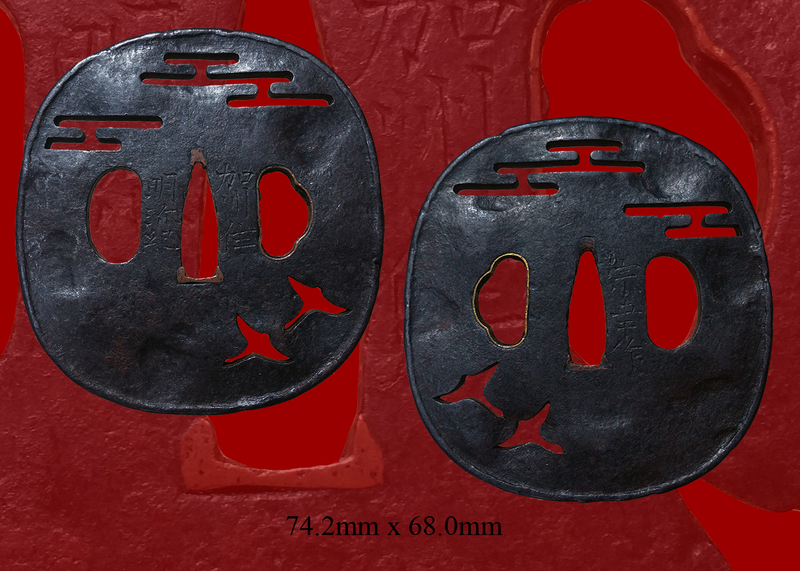 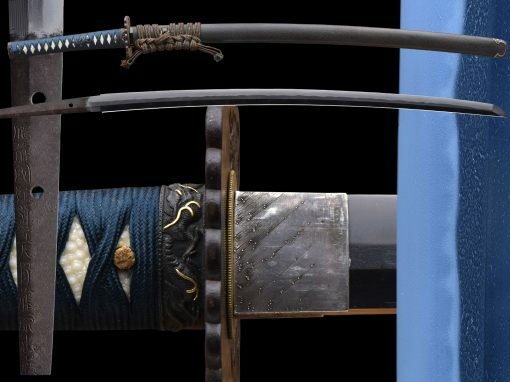 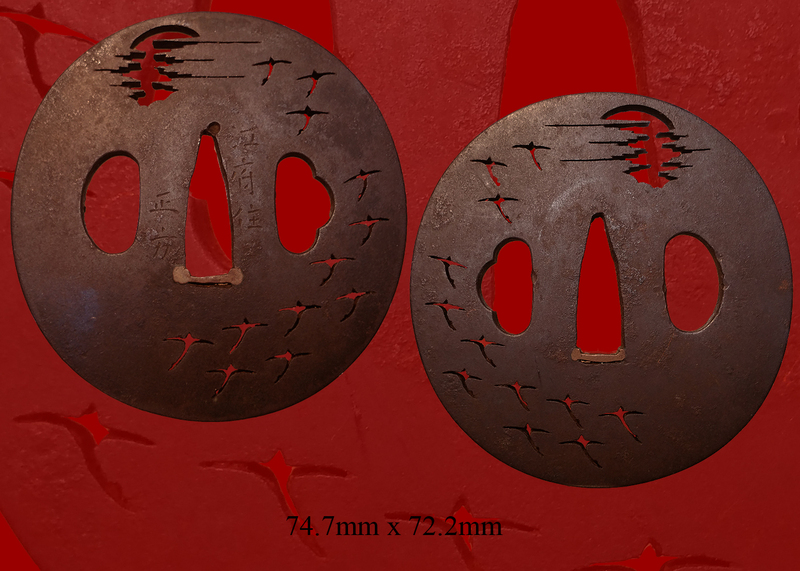 It looks almost like a very early koto era sword and more than likely was made in that style. 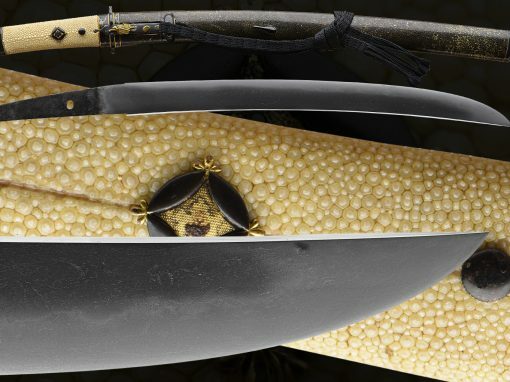 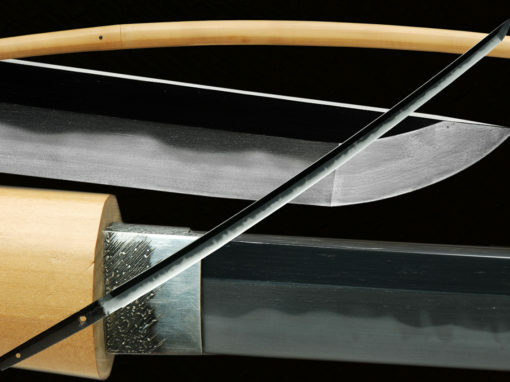 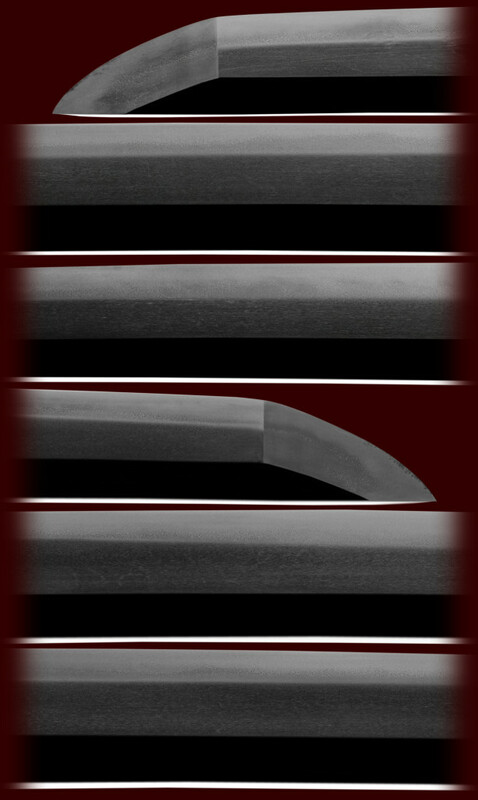 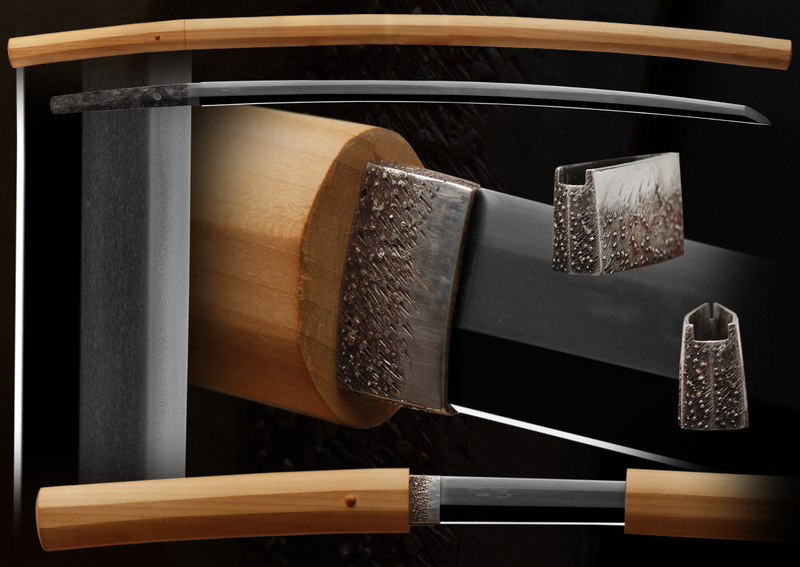 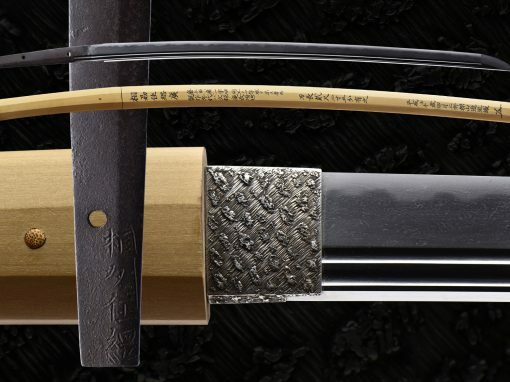 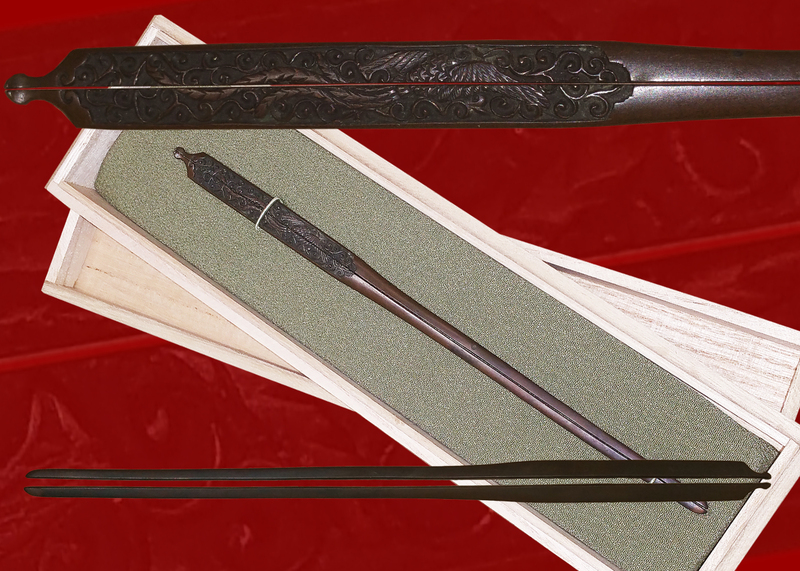 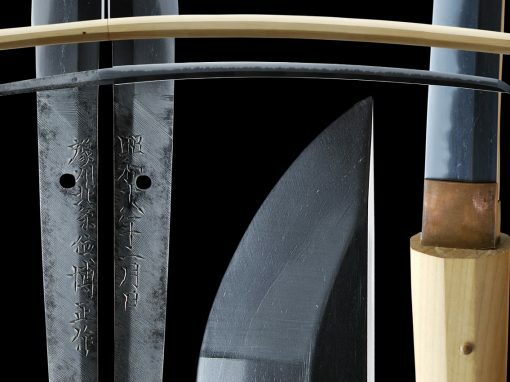 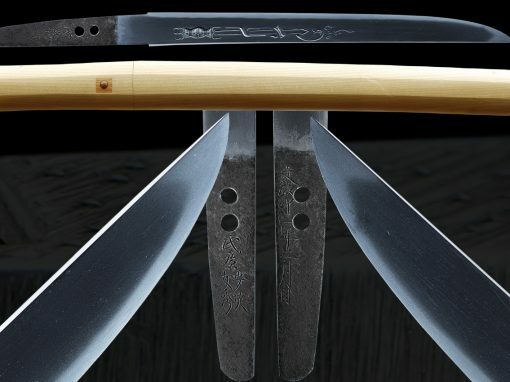 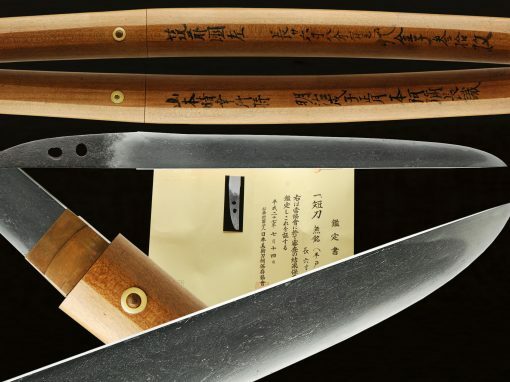 This sword comes in shirasaya and has a solid silver habaki.